Daniel Onwugbufor the General Overseer of God’s Favour Ministry, Iba, Lagos State, has been nabbed by the Ogun State Police Command , for alleged car snatching. . He said police efforts paid off when one of the snatched cars, a Lexus RX 330 Jeep, was tracked to the pastor’s residence at Iba. 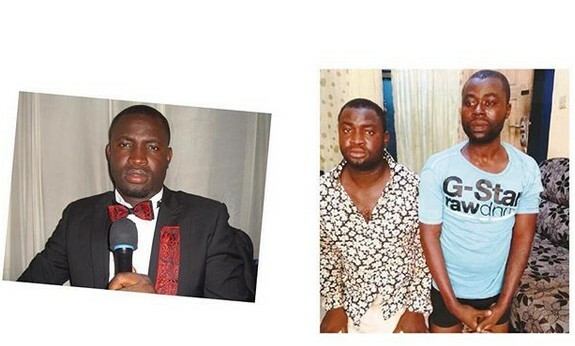 Oyeyemi explained that the pastor’s arrest led to the apprehension of Animashaun, an active member of a three-man gang which specialised in snatching exotic cars at gunpoint. He said Animashaun confessed that his gang snatched the Lexus Jeep at gunpoint at Ajah, Lagos, and took it to the pastor, who used to help them in selling such items. . The suspect also reportedly confessed that the pastor paid him N350,000 for the car and he (pastor) had used it for two weeks before transferring it to another accomplice in Onitsha, Anambra State. . He (the pastor) informed the police that the snatched Jeep has been sent to his accomplice in Onitsha but promised to work with the police to get the said accomplice arrested."